HIGHLY recommend if you enjoy a good bar/resto. This place was bumpin! We could have stayed all night but sadly were leaving early the next morning. Lined with bars, restos to suit all tastes. The people serving were very friendly. A must in KL! The place is full of action that wakes you up and make you feel excitedly energetic. You feel as time is slipping out of the fist. Spent almost every nite of my stay on these streets and never wanted to leave the place. Must visit place. The city is still pretty much alive even though it's already mid night. Crowded .. Street Shopping .. Great food .. A nice adventure during a evening .. We went there and walked around for a bit .. its fascinating the number of people coming there .. a nice way to take in the local flavour. This has been one of the best I have seen in any Asian country. 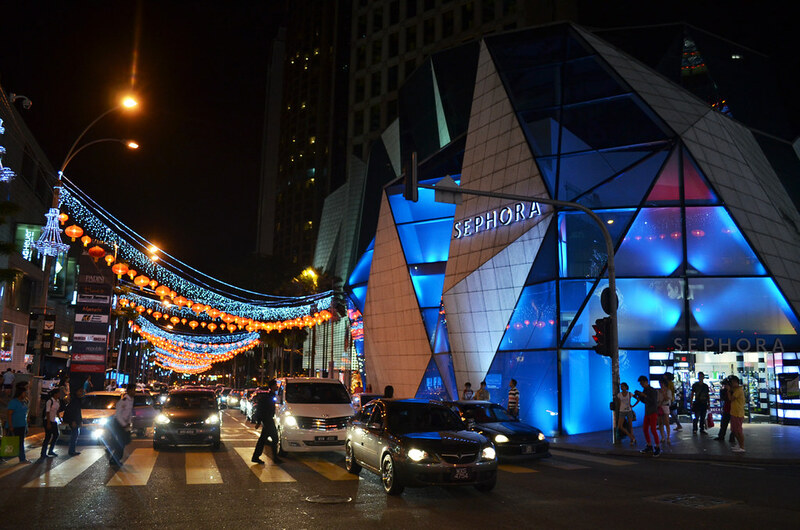 Brands, locals, street vendors, photo opportunities, you name it bukit bintang has it. I spent hours in three day business trip and found something new everyday. Evening is light up like a fairy tale and shopping happens even at mid night. Roadside cafes and bars are excellent. I loved it so much. Jalan Alor - one of the best places to hang out at night for local street food and drinks and enjoy the soccer match on tv. Stayed at Royale Bintang hotel, an ageing hotel with a lot of noise due to MRT station being built just opposite. The street is noisy as well with heaps of acrobats selling all kinds of cheap wares, most of which are not worth buying at all. 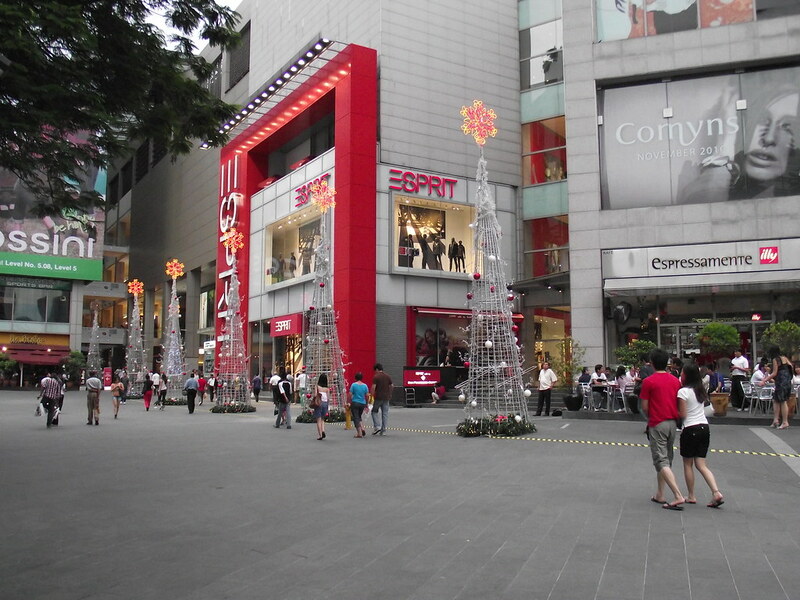 Bukit bintang PLAZA and Sungai wang appear to be better places for shopping although it pays to bargain . Beware of heaps of fake products and how to find them? Bargain from half of quoted price. No one will reduce a ringgit if theirs is original stuff. Jalan Alor is a great place for hawkers selling all kinds of seafood and Asian favourites. 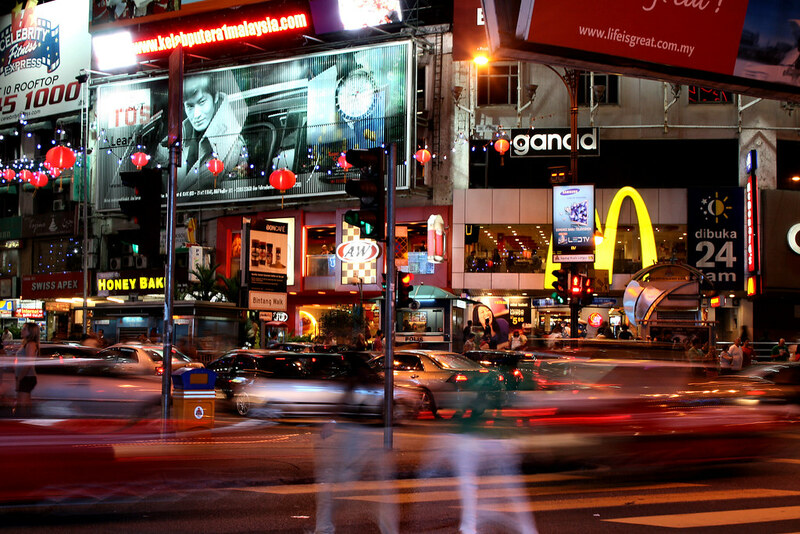 Clubbing and partying is the order of the day for folks hanging out at night at Bukit Bintang. It is the best area you gonna visit in Kuala Lumpur. full of Shopping Complex and so many Street foods (i guarantee all are in good Quality as for my knowledge). It is like a separate country which has everything you need to buy, watch, feel and entertain. better to enter Bukit Bintang after 4pm in evening. so till early morning 6am you can witness the beauty of it… starting from Food, you will come a cross Shopping Coplex which you can by Electronic items cheap and good. or Cloths… then you can walk in the street and listen some musics. while passing that you will see some Massage Centers. some are good. but most are awesome. specially for Foot massage and body massage.i recommend to have a foot massage after you finish looking Bu-kit bin-tang. if you had one you will be relax and foot will feel better next day morning. OVERALL: City is superb for entertainment (CLUBBING, DANCING FLOORS, PUB- all are same but different. you will know when you visit once). if you are taking your children then make sure you hold them tight. because you will disappear in seconds after you start walking in busy street. The Golden Triangle is one of the tourist destinations in Kuala Lumpur that should be placed in your travel itinerary when you are holidaying in Malaysia. It’s a sophisticated, modern and stylish neighborhood with multiples skyscrapers. There are tones of 5-star rated high-end hotels in the Golden Triangle area. In addition, the Golden Triangle is loaded with upscale shopping malls that will absolutely satisfy your shopping craves. There are plenty of shopping malls in the Golden Triangle. The exact location of the Golden Triangle is not defined precisely. But some map shows that it spread over a large, roughly a triangular area with its apex at Jalan Ampang in the north and its base formed by Jalan Imbi in the south. You can roughly figure out the Golden Triangle area in the following Google Map. Some highlights of the Golden Triangle area are that it’s Kuala Lumpur’s main business, shopping and nightlife district. Among the sea of glitzy high-rise buildings in the Golden Triangle area are most of the city’s prominent shopping malls, along with countless bars, restaurants, cafes and premier hotels, including the Mandarin Oriental which is located opposite the Petronas Twin Towers. Actually the Petronas Twin Towers are located roughly about a few streets opposite the Mandarin Hotel. But you can still take a 15 to 20 minutes walk from the Bukit Bintang area. If not, you are recommended to take the monorail at Bukit Bintang and get off at KLCC. At the heart of the Golden Triangle is Jalan Bukit Bintang with its trendy bars, eateries and the biggest concentration of shopping malls, including Lot 10 and Sungai Wang Plaza. Adding local flavor are pavement reflexologists and Middle Eastern cafes where locals puff hookahs, or tobacco pipes. Changkat Bukit Bintang is another street offering chic bars and restaurants. The country’s second biggest shopping mall, Berjaya Times Square, dominates Jalan Imbi while most of the top-end hotels lie on Jalan Sultan Ismail. With the newly added Pavilion KL shopping malls along Jalan Bukit Bingtang and Jalan Raja Chulan, the Golden Triangle is definitely a must-not-miss tourist destination in Kuala Lumpur. The Pavilion KL is the country’s newly opened biggest and grandest shopping mall to date and is on par with world’s class malls found in Milan and Tokyo. Little India – If you are planning to get to know more about the multi-culture society of Malaysia, the Little India is definitely the place that cannot be excluded in the best tourist destinations in Kuala Lumpur. This vibrant Indian enclave is a living heritage that can be dated as far back as 100 years old. Some famous attractions at Little India are the Masjid India and the neighborhood of Jalan Tuanku Abdul Rahman. Coliseum Cinema, Coliseum Café and Hotel – The Coliseum Theatre is one of the oldest movie theaters in Malaysia. Built in 1921 by the Chua family led by Chua Cheng Bok, the Art Deco-style building is capable of seating 900 people and also features a balcony. The famed Coliseum Café and Hotel are located behind the theatre, just down the road. Most of the movies premiering in the building are Indian movies. Carcosa Seri Negara – The Carcosa Seri Negara is an exquisite pair of colonial mansions which was built between 1896 and 1904 on the edge of Lake Gardens. It consists of two buildings with the first being named as Carcosa while the second named as Seri Negara. Together the Carcosa and the Seri Negara buildings form one of Kuala Lumpur’s finest boutique hotels.